I don't have kids. You probably already picked up on this already, but I just had to reiterate that. However, I am about planning educating yourself on any and everything and parenting is kind of important. I have great several blogs that talk about this book and figure, meh why not. It's pretty short, sweet, and to the point. It's a follw-up to the book below which talks more about the author's experiences and has a lot of her own personal anecdotes. 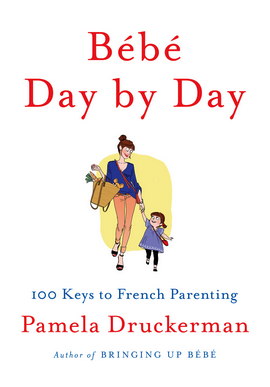 Bebe Day by Day was like a list of 100 steps to parenting like the French. 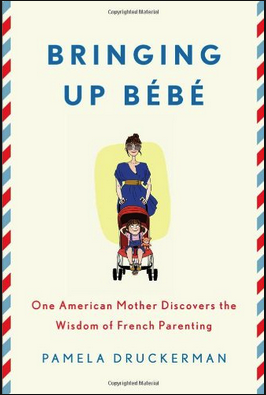 I really enjoyed it and agree with a lot of the points she made, particularly about how the French approach their children about trying new foods (introduce new foods all the time and make them at least try them), and how they should behave (it's drilled into them from birth that they should have manners). Some of the ideas are not really my scene but hey, nobody parents the exact same. If you have babies or are planning on having any in the near future, definitely give it a read.